Which Vitamins Are Best for Fighting Harmful Bacteria? The harmful bacteria you encounter on a regular basis can be spread through air, water, bodily fluids or contact with an infected person. These bacteria, known as pathogens, can lead to a wide variety of illnesses. The use of antibiotics may be useful for treating these illnesses and infections once they've occurred, but you can also take steps to prevent infection. In addition to washing your hands regularly, you can take vitamins to guard against harmful bacteria. Although vitamins are not scientifically proven as a remedy for any illness, they may help fend off the pathogens that cause infection. According to the National Institutes of Health, vitamin A maintains a healthy surface lining of various vulnerable parts and systems of the body, including the eyes, the urinary tract, the respiratory tract and the intestinal tract. A strong lining of these areas helps prevent the entry of bacteria and viruses. Vitamin A also bolsters the defensive barriers of the skin and mucous membranes in keeping out bacteria. Finally, the NIH reports that vitamin A may aid white blood cells, called lymphocytes, in combating infections. The role of vitamin D in fighting off bacteria and infection may be greater than originally thought, according to recent studies. U.S. News and World Report Health cites a study conducted at the University of Colorado Denver School of Medicine, which reported that taking vitamin D on a daily basis may lower risk of respiratory infections, such as the common cold and the flu. The researchers reported that people with a vitamin D intake of less than 10 nanograms per milliliter of blood had an almost 40 percent greater likelihood of respiratory infection than those with levels of 30 nanograms or more. 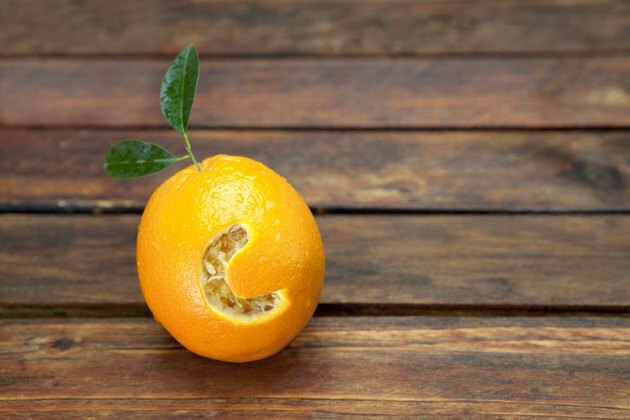 Vitamin C is a very important vitamin for maintaining a strong immune system, reports Progressive Health.com. In addition to supplementation, you can also boost your levels of vitamin C through various fruits and vegetables. Progressive Health.com reports that for infections such as the common cold, vitamin C may shorten the duration and severity. Which Vitamins Help Sinus & Allergies?